NASHVILLE – More than 90 electric cooperative lineworkers from Tennessee are heading to Florida and Georgia to restore power to those affected by Hurricane Irma. “Eleven electric cooperatives in Tennessee are sending personnel and equipment to Florida and Georgia to assist electric cooperatives impacted by this incredible storm,” said David Callis, executive vice president and general manager of the Tennessee Electric Cooperative Association. Tennessee crews have been making plans since last week, but co-ops were hesitant to commit crews until the remnants of Hurricane Irma moved through Tennessee. With the storm passed, some crews have already left and others are making final preparations to leave for hard-hit Florida and Georgia. This cooperation is enabled through mutual-aid agreements among electric cooperatives. 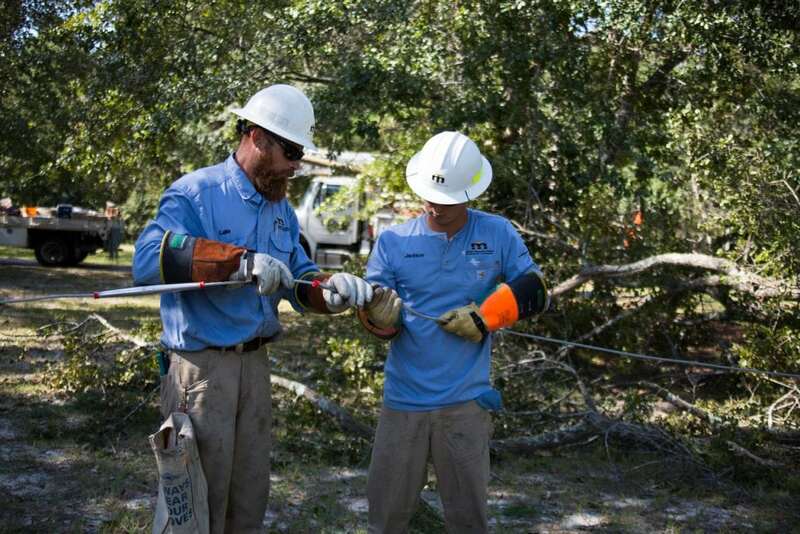 Crews from Tennessee are joining some 5,000 electric cooperative workers from 25 states who are converging this week on the hurricane’s impact zone. This represents one of the largest coordinated electric restoration efforts in history.